Which horse has the best pedigree to handle twelve furlongs in the final leg of the Triple Crown on Saturday, June 9 at Belmont Park? 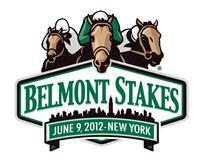 My Belmont Stakes alphabetical list continues with Ravelo’s Boy. Ravelo’s Boy’s sire Lawyer Ron (by Langfuhr) won 12 of 26 races from 2005-07. He was on the Triple Crown trail in ’06, winning such races as the G3 Risen Star, G3 Rebel, and G2 Arkansas Derby before finishing 12th in the Kentucky Derby. In ’07, he captured the G2 Oaklawn Handicap, G1 Whitney, and G1 Woodward, and earned more than $2.7 million on the racetrack. Unfortunately, he died from colic surgery complications in 2009 at age six. He sophomore son Drill is a multiple graded winner. Lawyer Ron’s sire Langfuhr (by Danzig) went 9-for-23 from 1995-97 and won multiple stakes races including the G1 Vosburgh, G1 Carter, and G1 Met Mile. He sired multiple stakes winners including Wando, Mobil, and Euroears.